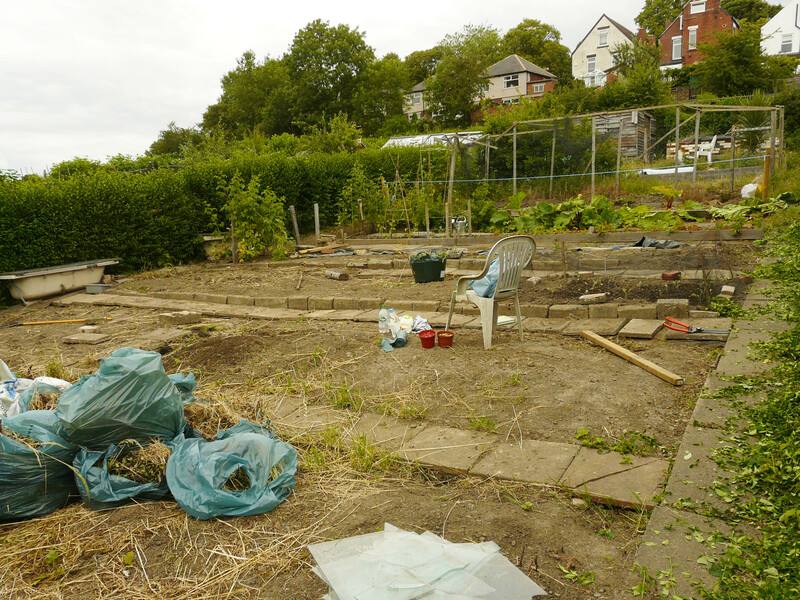 The top three beds are cleared of weeds with the fourth bed well on it’s way. The bed second to bottom of this picture will eventually be converted into raised beds which will house the strawberries and a nursery bed. All those bags are full of grass, it’s a shame we can’t compost them as we’d have a full bin already. The raspberries revealed! As they seem to have given up all their fruit already I’m assuming that they’re a Summer fruiting variety and thus the new canes will be the ones to bear fruit next year, as a result I’m not going to trim back any new growth. Once we’re firmly into Autumn and the plants are dormant they’ll be moved into their new spot which will be protected by the fruit cage. 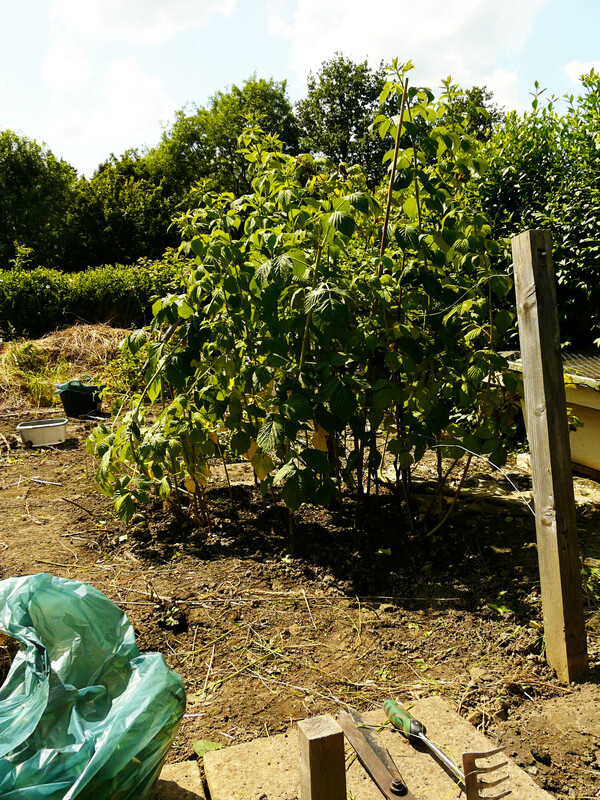 Over time they’ll be joined by some blackberry bushes and grape vines as well, Rob has put in a special request for a redcurrent bush as well. 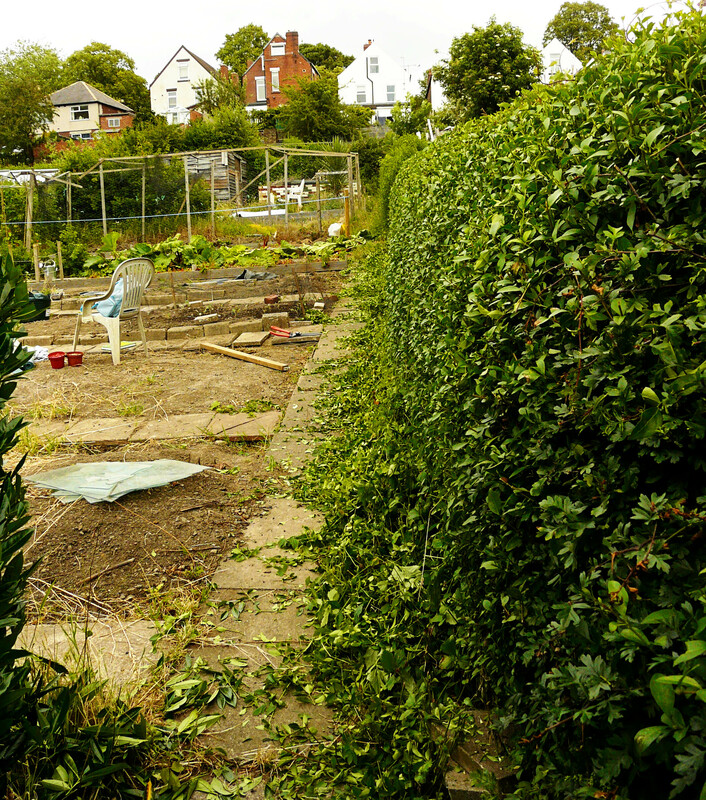 On Saturday I got sick of the sight of weeds so decided to tart up the hedge. For a first time hedge trimmer I don’t think I did too bad a job. I’m not the most dainty creature so I did think it was going to end up a bit lumpy but it’s not too shabby, even if I do say so myself. The eagle eyed amongst you may have spotted some tiny plants in the ground already, they’ll be more on that later. 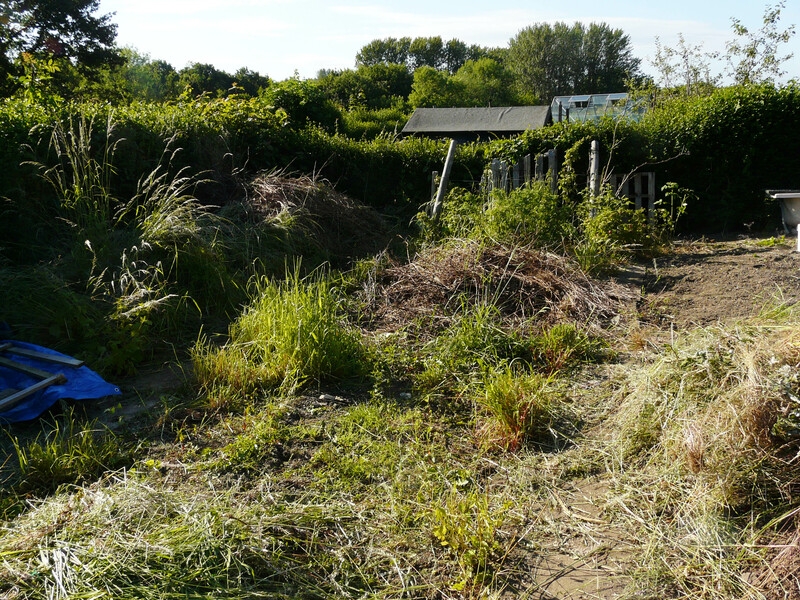 Hi, I'm Hannah and I took over my first allotment in June 2015. Welcome to my blog recording endeavours in the good life!